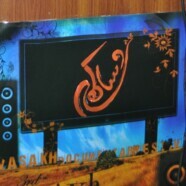 The Department of Mass Communication, Forman Christian College, organized the third annual Vasakh Documentary Festival from 18-20 May 2010. FCC Rector Dr Peter H Armacost was the guest of honor in the opening ceremony of three day festival. This year more than 20 of the best South Asian documentaries were screened, including productions by the students of eight participating universities of Pakistan. Question answer sessions were held after all the documentaries to make audience more conscious about the subject. A spectacular musical night marked the closing ceremony of the Festival as well as a farewell to FCC’s graduating students. Some of the most prominent media persons of the country like Munnu Bhai and Syed Noor were also a part of the closing ceremony. Later, prizes were given to the three best documentaries. The first prize went to ‘Khatoon’s Struggle’ produced by the students of Sindh University, Jamshoro. FCC student Naveed Hameed’s documentary ‘No aggression, No war’ shared the second prize with ‘Zindagi Tamasha Bani’ by the students of Fatima Jinnah College, Chuna Mandi. The third prize went to ‘Mobile Addiction’, a production of Punjab University students. The organizing team was led by Mr Saleem Abbas. As Program Coordinator he had responsibility for the entire three-day program ranging from inviting guests to checking scripts and from finalizing jury to ensuring an effective closing ceremony. Mr Muhammad Ali assisted him as Media Coordinator, while Mr Ali and Ms Naila Sahar were also responsible for preparation of student hosts. Mr Junaid Ghauri and Ms Firasat Jabeen managed stage setting, distribution of invitations, display of banners, etc. Mr Fahad Mehmood was in charge of reception and security. Food and refreshment was the responsibility of Mr Akram Soomro. The festival was widely covered by the media, print and electronic alike. English and Urdu newspapers published news about the festival and dedicated space to the interviews of our speakers. Dawn, The News, The Nation, The Post and Awaz were amongst the papers that covered the event, while the TV channels included Dunya, City 42, Express News and Aaj.